The EU suspended Free Trade Agreement talks with Thailand after its military coup. Now into its third year under dictatorship following the coup d’état on May 22, 2014, things are likely to get worse before they get better, writes Jaran Ditapichai. Jaran Ditapichai is a Thai who was granted political asylum in France after fleeing following the military coup. He was a student leader during the protests of 1976 and is now a political scientist and European coordinator of the Organisation of Free Thai for Human Rights and Democracy. During this time human rights violations in the country continue to be grave. The junta has orchestrated the most undemocratic constitution and forced people to approve it in a referendum on August 7 this year. Since the primary objective of the military was to control the royal succession, when King Bhumibol Adulyadej died on 13 October, it can now not only control the situation which Thai people have been worried about for years, but also consolidate its power. There are special circumstances surrounding the succession. This ‘marriage of convenience’ between the military regime and Crown Prince Vajiralongkorm will govern for an extended period, under the pretext of stabilising the country, and a return to democracy will be delayed to 2018 or later. The new king is unpredictable and will not have the aura of his father, so the military regime will clamp down even further to ensure that no negative views are expressed on his reign – and we can expect a further deterioration in human rights. Even the succession itself has not been the smooth process it was supposed to be. The Crown Prince, who technically should have ascended the throne on the night of his father’s death, instead demanded a delay. General Prem Tinsulanonda, a former dictator and president of the privy council, became temporary regent. The reasons for the delay are not clear – but eventually, the Crown Prince will become the new king of Thailand. Since King Bhumibol ruled for 70 years – the world’s longest-serving monarch at the time of his death – neither the Thai state nor its people have much experience with the current situation. Wear black – or else…. The junta and ultra-royalists have declared an extended period of mourning for the king – in fact, a period of a year, where all government workers must wear black and the public will be coerced, by social sanction, to do the same. Entertainment is discouraged, Halloween, Christmas and New Year festivities are cancelled, concerts for next year are already being cancelled, TV stations are not allowed to broadcast entertainment shows and, at the moment, advertising is not allowed. For a country highly dependent on both foreign and domestic tourism, this is going to generate a lot of hardship with reports already of significant drops in income. Mourning the king has taken on almost a competitive edge. Employers of foreign nationals have advised then not to visit bars or post any pictures on social media that depict involvement in activities that could be construed as entertainment. In effect, the country is being shut down for a year, with both the economy and human rights deteriorating during that period. It is not only that the military dictatorship does not allow the expression of any divergence from palace and royalist propaganda, but the ‘hyper-royalism’ denigrating anyone seen not to be in sufficient mourning. Justice Minister General Paiboon Kumchaya is on record as encouraging people to take the law into their own hands, both at home and abroad. He said vigilantism was the best way to protect the monarchy, adding Thais should do the same with ‘lèse-majesté’ (the restrictive law against criticising the monarch) offenders living abroad. There have already been numerous attacks on people deemed to have been disrespectful to the monarchy. Dr Rienthong Nanna, a former operations director of the Royal Thai Army Medical Corp and fanatical royalist, is founder and leader of the Rubbish Collection Organisation. The objective of this organisation is to hunt down people they perceive as being anti-monarchy. Since the king’s death, this group have taken an even more extreme direction and are openly advertising for assassins to travel overseas and kill people who voice anti-monarchy sentiments. They are offering a substantial monetary reward for any persons or groups willing to carry out their plans. Since King Bhumibol’s death, police have so far prosecuted some 23 people for lèse majesté. Historically there were a handful of lèse majesté cases a year – we now get more than that in a week. 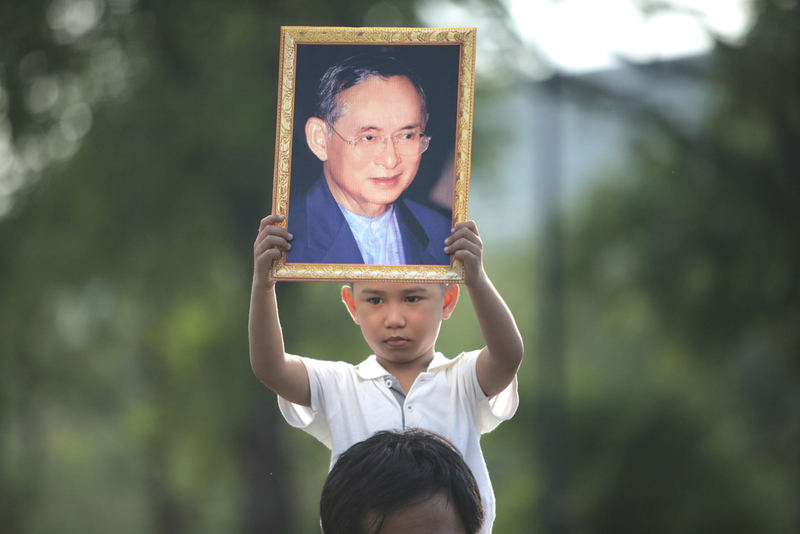 Lèse majesté is also used against those who oppose military dictatorship and is an almost guaranteed conviction with a term of up to 15 years for each deemed offence – e.g. send a text message and get 15 years, send two text messages and get 30 years. Hundreds of people have been incarcerated by the application of this archaic and medieval law and suspicious deaths in custody are not uncommon. The paused royal succession and the military regime continue to destroy or undermine all democratic forces, including Pheu Thai and the popular former elected prime minister, Yingluck Shinawatra. Yingluck was mandated by the electorate to implement a rice subsidy scheme and like most farm subsidy schemes, it lost money. The ruling military regime has now signed an order to hold Yingluck personally responsible for the scheme losses and have demanded over $1 billion in compensation. They did not even follow the normal legal process to conduct this farce but used a special instrument called an administrative order. They are effectively stripping her of all assets and saddling her with an unpayable debt and potential substantial jail term to remove her from the political scene. Most neutral observers can agree that if there was a free and fair election tomorrow Yingluck would easily win a majority, so the junta is working overtime to end her political career. Despite this terrible situation the Thai people continue to fight for democracy. The Organisation of Free Thai for Human Rights and Democracy (FT-HD) is one of the groups formed on 24 June, 2014, which campaigns for human rights and democracy. I am the European coordinator of FT-HD and request that the EU and international community pays close attention to the succession situation, especially the human rights abuses, and support returning Thailand to democracy with rule of law and basic human rights soon. 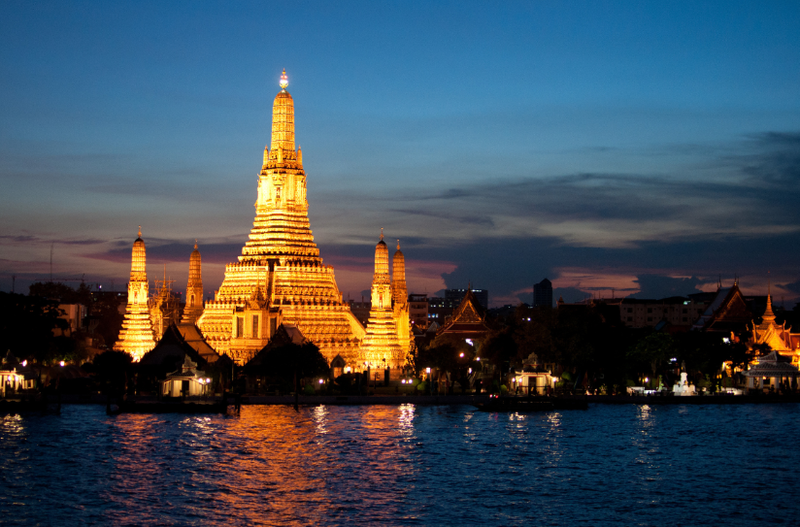 Thailand suffered a military coup in May 2014 – overthrowing the democratically-elected government of Yingluck Shinawatra after months of street protests, just as the second-largest economy in ASEAN was about to sign a Free Trade Agreement with the EU. Firstly, there has been no indication of any delay to the general elections, which are set to take place during the end of 2017. Prime Minister Prayuth Chan-ocha confirmed recently that the “roadmap is the roadmap”. Secondly, it is wildly absurd to claim that 16.8 million out of 29.7 million Thais were somehow “forced” to approve the draft constitution on 7 August 2016. Yingluck Shinawatra and Abhisit Vejjajiva, former prime ministers and leaders of major political parties, have both accepted the outcome despite initial disagreement. There has been no indication that anyone in Thailand rejected the result. Thirdly, while it is true that Thailand continues to collectively mourn the passing of His Majesty King Bhumibol Adulyadej, the only festivities that are cancelled or postponed are those which are rendered strictly inappropriate to the prevailing mood. As of now, television channels and forms of public entertainment including musicals and cultural shows have resumed their normal programs. Nobody has been 'forced' to grieve. Large masses of crowds of all demographics have voluntarily travelled from various parts of Thailand to Bangkok in order to pay their respects to their late king. This scenario speaks strongly for itself. Fourthly, General Prem Tinsulanonda, the Regent pro tempore, is widely respected in Thailand for running a clean technocratic government that led to a double digit growth rate for the country during the 1980s. He was invited to the premiership by elected political representatives as a “neutral” personality. He declined the last invitation in 1988 of his own volition. It was General Tinsulanonda’s initiative (Order 66/23) which granted amnesty to the likes of Ditapichai, allowing them to leave their armed communist insurgency and resume a normal life, including political activism.